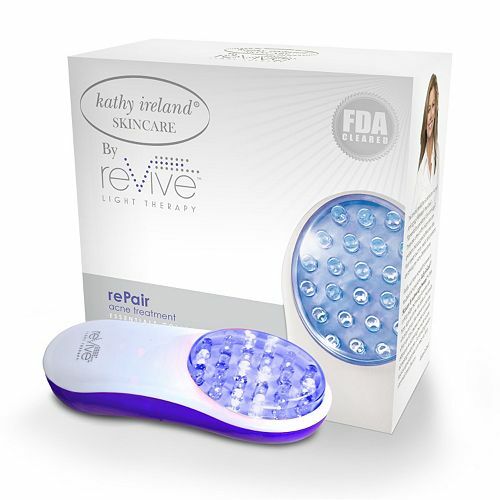 ReVive Acne Treatment Blue Light Therapy penetrates into the skin, targeting and destroying bacteria that cause acne flare-ups and other skin ailments. The result is clean, clear skin with a healthier appearance. FDA cleared, clinically tested, and recommended by dermatologists and physicians. Helps reduce acne with blue light therapy. Penetrates deep into skin, destroying bacteria that causes acne flare-ups. Apply LED Light Device to area for minimum of 3 minutes daily.